Are you frustrated with ill-fitting pants? Many men simply don’t know how their pants should fit. They settle for dress pants that are uncomfortable and unflattering not because they don’t care, but because they feel they have no other choice. Before you buy another pair of pants that bind, sag, pull or pucker; learn the basics of how to choose a great fitting pair of men’s dress pants. How Should the Waist of Traditional Pants Fit? For a traditional cut, the waist of your dress slacks should be at the natural waistline. A well-fitted waist will be comfortable and allow you to breathe. There should not be any unsightly pulls or puckers at the hips or around the pockets. How Should the Waist of Low Rise Pants Fit? Low rise pants are fashionable and popular with the young and those who have the physique to wear them. While not appropriate for a formal business setting, they are stylish and fun for weekend wear. Low rise pants are worn below the waist and are typically a flat front or non pleated style. The rise of your dress pants is crucial to the fit of your pants. The crotch should not bind and be tight, nor should it sag, becoming loose and baggy. If you have too much fabric, you will look sloppy. Too little and it will cut into your groin area making your pants very uncomfortable. There should be just enough fabric in the rise to contour your seat without being tight and allowing you comfort when you sit. Your pants should have form, but with a graceful drape of the cloth. 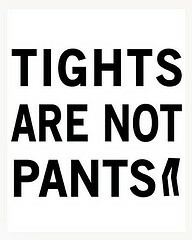 This means that your pants should not be too tight and show horizontal lines or bulges across the front, back and sides. The desired length of your pants is predicated upon your personal preference and style sense. For the conservative. The bottom of the pants hits the shoe and the mid-heel with no crease or break. Make sure the pants length is not so short that one can see your socks when you walk. This is the most common pants length. The golden rule is for the pants hems to finish with a single break (crease of fabric) at the front of the shoe. In the back, the hem should end where the heel meets the lower back of the shoe. A double break is popular with the young, who like a “drapey” full pants leg and hem with deep folds on the shoe. (Great for hip-hop; bad for business.) Just remember that your pants should not drag the floor. Now that you know how your pants should fit, you can explore the various options available to you. If you can’t find a good fit off-the-rack, don’t be intimidated by getting your pants custom made. This is a great option for many men with hard-to-fit physiques. You will find custom made pants are much more affordable than you might think and the fit and comfort are definitely worth it. Janine Giorgenti is a renowned fourth generation Italian designer and image consultant. Visit her website at www.bestcustompants.com for more style advice and fashion tips.